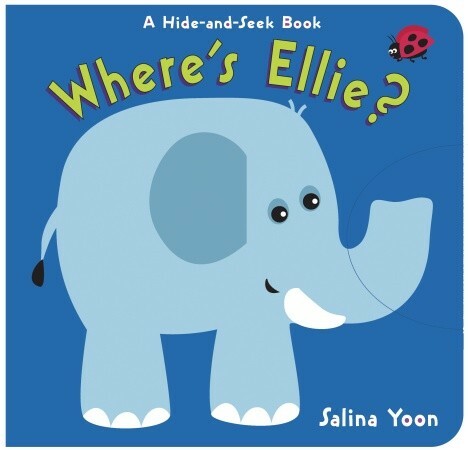 Ellie’s hiding and it’s up to very young readers to find her. Is she behind the plant? Behind the flowers? Maybe she’s behind the cactus? Or the tree? Little ones will enjoy bright colors and familiar objects as well as the textured treatment on Ellie’s ear and trunk. A rounded cutout gives hints as to where Ellie may be and makes for fun surprises with each turn of the page.